A couple of weeks ago, I attended a friend’s daughter’s wedding dinner at a five star hotel here. 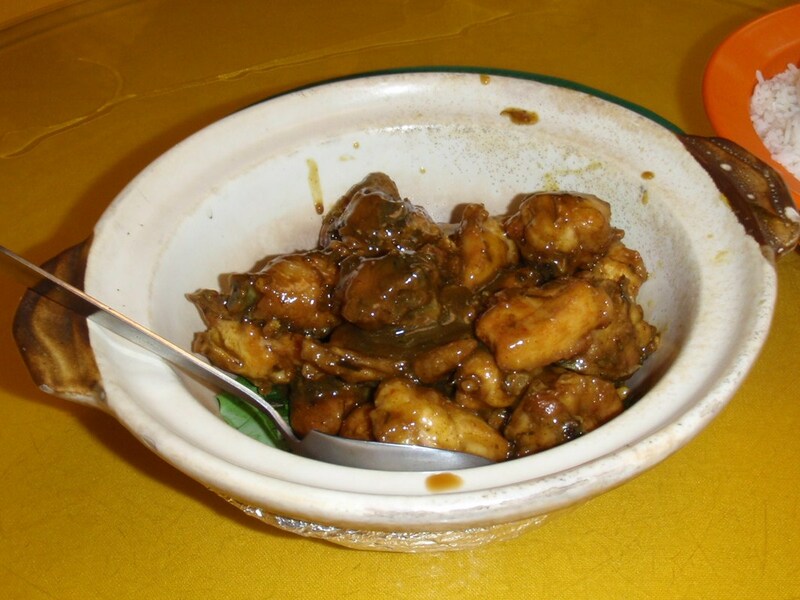 A Chinese wedding dinner in Malaysia is usually an eight or nine course dinner, such as this….. I forgot to take a picture of one of the dishes which consisted of vegetables. The younger generation nowadays prefer to serve red wine instead of brandy or whiskey at their wedding dinner. Personally, I prefer the taste of red wine. And as I look at the happy young newly-weds, I can’t help but be reminded that age is catching up on me …. real fast! Our friends Richard and Woon discovered a new eating haunt in Desa Aman Puri and we decided to join them for lunch at this 168 restaurant. They serve only pan mee either individually like this. 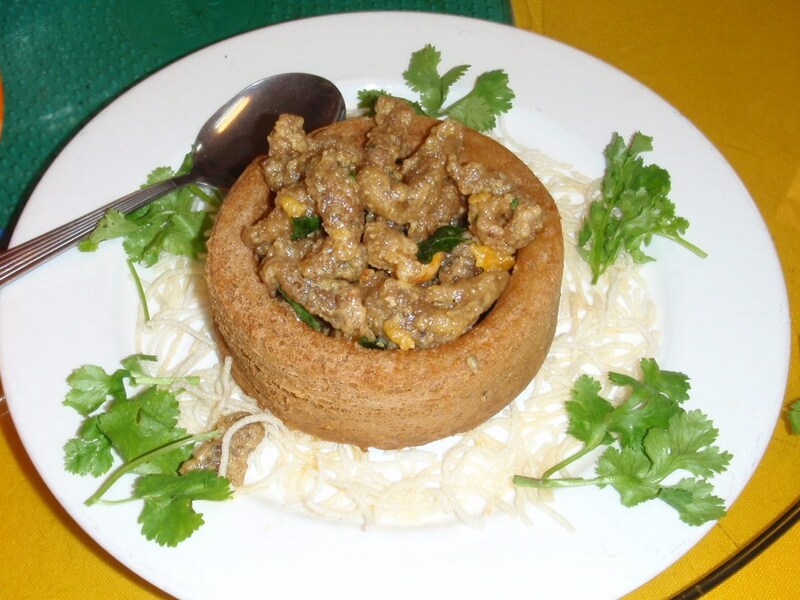 Or in a claypot for two persons. There are more ingredients inside the claypot pan mee. The cost is also higher. The pan mee is nice, isn’t salty and probably doesn’t have much MSG in it. This place is crowded during weekends and today we had to wait for our table. The owner of this restaurant who is also the chef is a lady and near the cash register you can see a glamour photo of her hanging on the wall. I was at 1 Utama today to celebrate a friend’s 51st birthday. The place was not very crowded and it was nice and relaxing to walk around looking at all the Chinese New Year decoarations. The movie theatre was full of young people, though. We went to Chili’s restaurant to have lunch. We had the fruit juices which was refillable. Not bad. 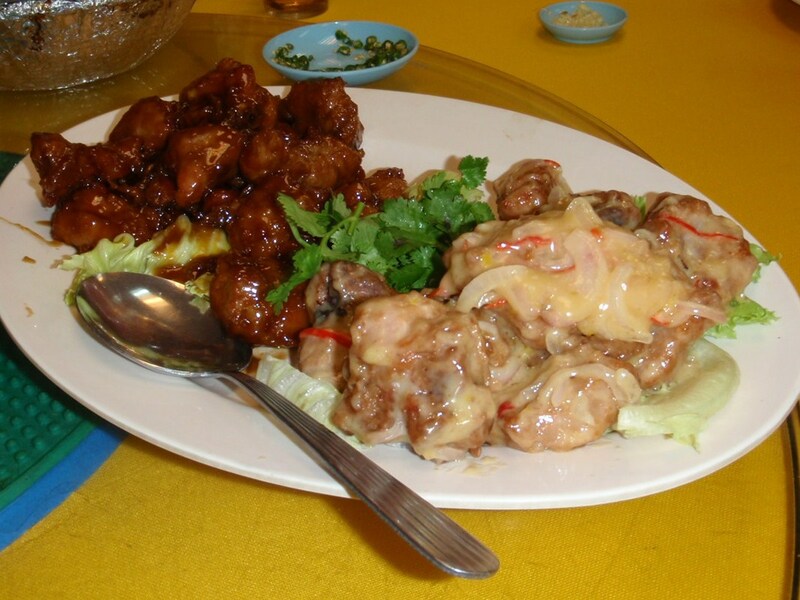 And we ordered the following dishes which was nice although we felt sleepy after eating all of it. 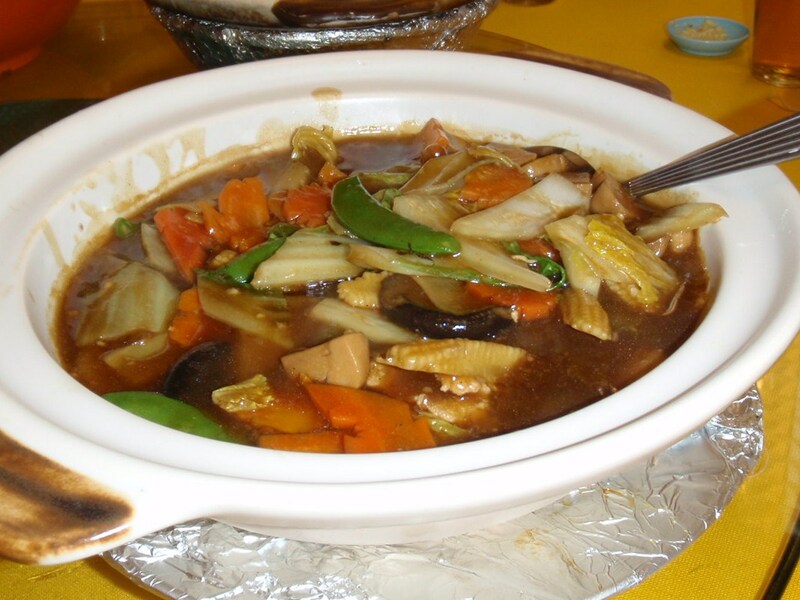 This beef dish comes with the bread and chopped vegetables. The food was nice and the service was excellent. I like the way the waiters and waitresses came up to check on us to make sure that we had our drinks filled up and that we were enjoying our meal. Merry Christmas to you. Time really flies, it feels like only yesterday when I celebrated last Christmas. I didn’t do much shopping this year because I was too busy with work. My family and I went out for Christmas eve dinner and it was good because we didn’t have to do the dishes nor do any cooking. But we missed the turkey. The price of turkey is cheaper this year, I suppose this year somebody didn’t make big bucks at our expense. We ate too much, as usual…. When we arrived at the restaurant at about 7 p.m. we heard some people singing karaoke in a room. At the dining area, we were the only diners! No kidding and it must be the sign of the times. Even after we paid the bill and left, there were still no other diners walking in. Also, this afternoon when I went for lunch, the “har mee” cost me RM3.50. I think the price has gone down because it used to be RM3.80 or RM4.00. I hope that soon the price of food will go down. I met up with my two old classmates from secondary school for dinner at the Padi Prada restaurant in Kota Kemuning. 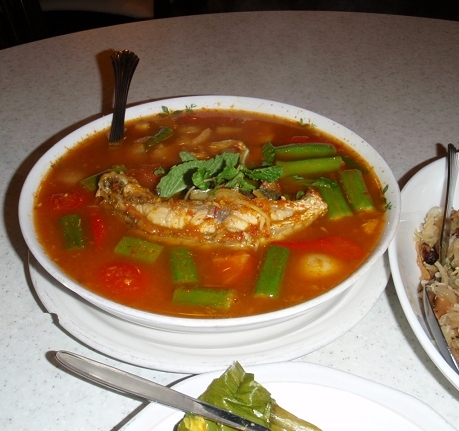 The restaurant serves Penang food. It’s a nice, cosy restaurant but not busy, probably because it was a working day. 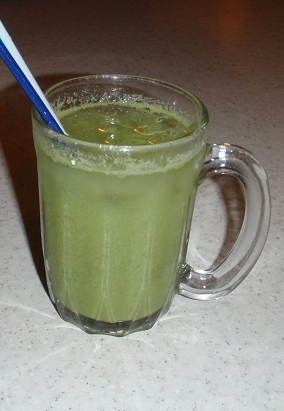 We had this drink made from a local fruit and it tastes quite sour. 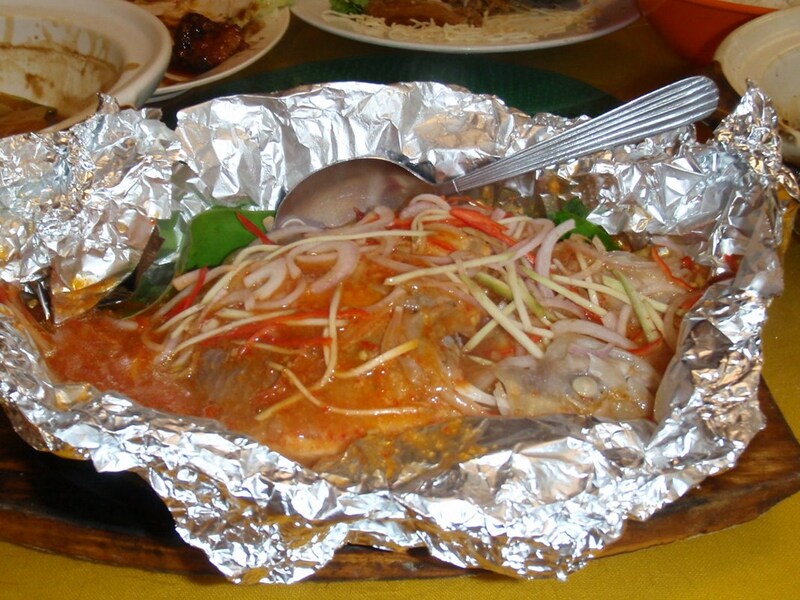 We ordered the assam fish which cost us RM21.00. 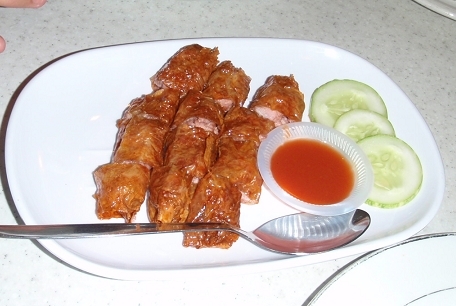 The “Jiu Hoo Char” dish costs RM10.00. 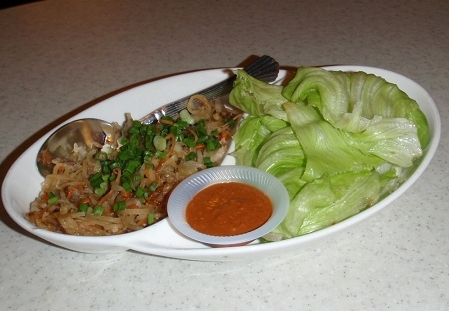 We ate this dish by wrapping the fried turnips and squid with the green vegetables. We were given complimentary green bean soup for dessert. The total bill came to RM64.25 for three persons, including rice and taxes. The food was delicious and we finished everything on the table. Last month, I joined the senior citizens in my church for lunch (er, I’m not a senior citizen yet, ok?) at a Chinese restaurant at Desa Aman Puri. The food tasted so-so but who’s to complain considering the price we paid for the food. 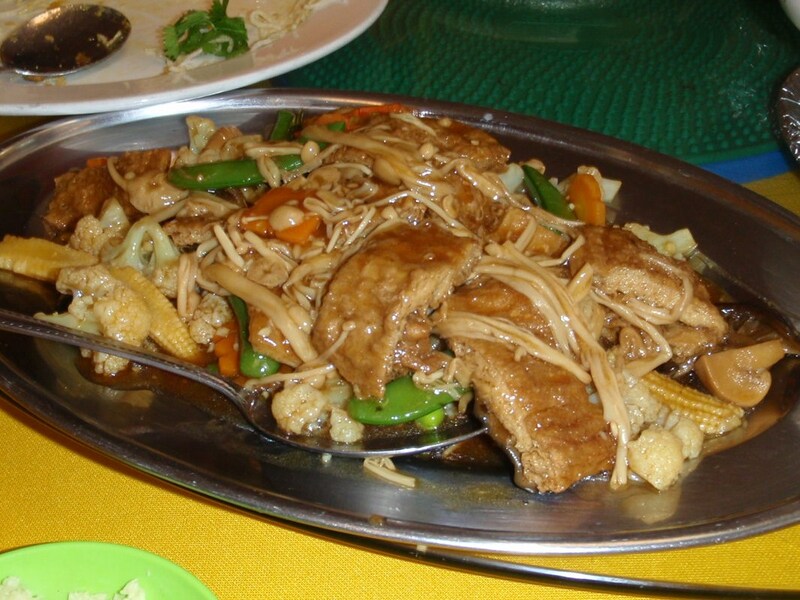 Some of the dishes are shown below. I can’t remember the name of the restaurant nor the price I paid for the lunch (honestly, I’m not a senior citizen). 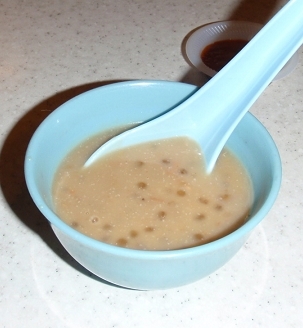 This is my favourite dessert, “Air Batu Kacang” or ABC. 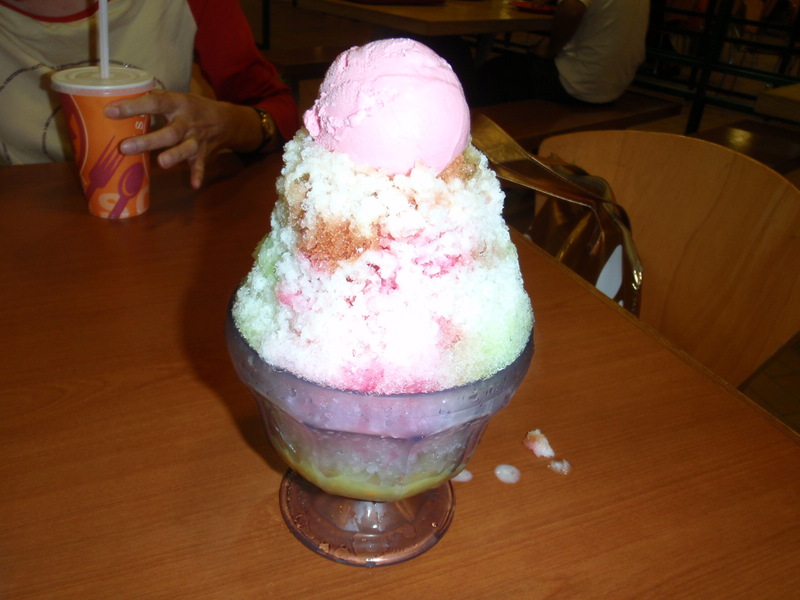 It’s made of iced shavings with jellies, sweet corn, peanuts, beans and “cendol” in it. 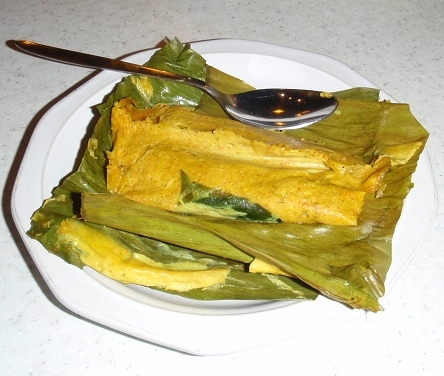 All that is topped with coconut milk/evaporated milk, syrup and brown sugar. Sometimes, ice cream is also added.